It was never in the business plan for Acklen cofounders Colin Callahan and Byron Sommardahl to work with developers outside the United States. They knew they wanted to build excellent software that makes the world a better place, and in those early days, they were the coding manpower that made it happen. 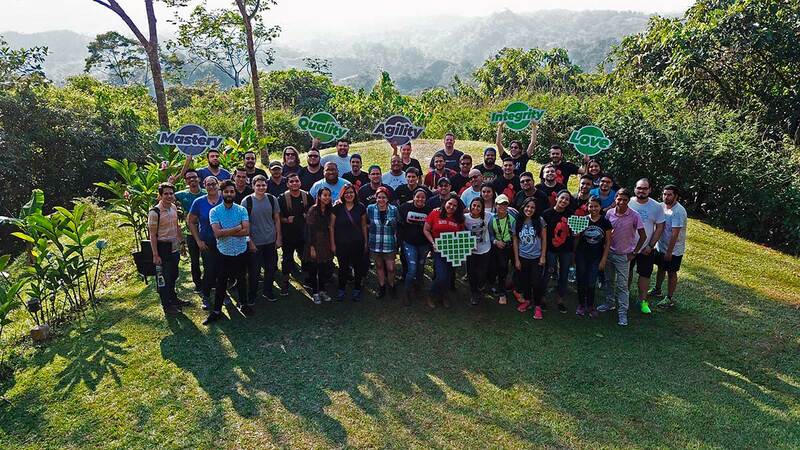 So how did Acklen go from two devs in middle Tennessee to being a bi-national company of nearly 80 full-time employees, and the largest employer of developers in Honduras? 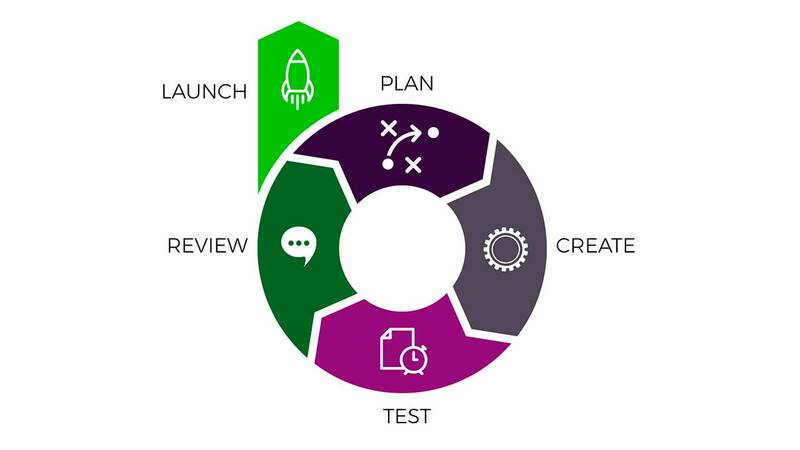 The story behind this “how” has also nothing to do with business strategy or cost savings. It is not a story about supply and demand of software services, or unfulfilled market needs. The story behind Acklen Avenue is born out of love. Let’s go back a few years, circa 2009, just before Acklen Avenue was born. Byron, a developer from Murfreesboro, Tennessee, found himself surrounded with family and friends who were getting married or growing families. Being a bit distant from this scenario, Byron heard a sermon at his church that stuck with him. The preacher boomed over the PA system, “Being single means you have more time to serve others.” With renewed conviction, Byron joined a missions team headed to Honduras to serve. During the trip, he built houses, installed water treatment systems, fed the hungry, and visited several organizations, including a Children’s Home in Santa Ana. Serving the needy felt so right that the following year Byron decided to lead the same missions team to Honduras, and stay an extra week at the same Children’s Home in Santa Ana that called him to Honduras the first time. He and Colin had only recently taken on their first formal Acklen Avenue projects, and while he spent his nights coding for Acklen Avenue, Byron loved playing with the kids at the Children’s home by day. One little boy always tried to get Byron to push him around on a bike with training wheels. Emanuel was the boy’s name. He was one of many precious kids that easily stole Byron’s heart during that trip. Even though Byron was convinced that being single was a good thing and left him more time to serve, the cosmos had other plans. During that same week, at the same Children’s Home, Byron found the girl he would quickly fall in love with. She didn’t speak English. He didn’t speak Spanish. But love transcends languages, cultures, and even oceans. Pamela was one of the caregivers at the Children’s Home. She had been there for about six months after losing her husband in a fatal car wreck. The Children’s Home provided a much needed job while caring for her 2 year old son and completing a degree at the university. During Byron’s extra week in Honduras, Pamela unknowingly caught Byron’s attention. He noticed her consistent affection towards the children while still being strong and firm with them. Something unexpected was happening. Everything became more clear for Byron one night at dinner time. Pamela was helping to feed the children. Byron came along to help, though in retrospect, he probably just wanted to spend more time with Pamela. She says today, “He looked hungry, so I threw something together and gave Byron some food, too.” Pamela made a Honduran classic called “Tortillas con Quesillo and Chismol”. That was it for Byron. And remember that little boy, Emanuel? He was Pamela’s son. Could it be that Emanuel could see all this coming? That extra week was cut short by an urgent, work-related matter that called Byron back to Nashville. When he arrived, something didn’t feel right; within a few days he realized he needed to go back to Honduras where Pamela was. Before this moment, Byron had never thrown so much caution to the wind. He describes himself as a hometown boy and not much of a risk-taker. But something was happening that felt out of his control. So Byron did what any rational person would do. He checked his bank account balance, saw that there was just enough to buy a plane ticket back to Honduras, and he went for it. After spending the night in the San Pedro Sula airport with his laptop bag wrapped around his ankle and his suitcase for a pillow, Byron set out for a place called Copan Ruinas near the Honduran/Guatemalan border, a town known for great Spanish schools. The school provided him a place to stay with a local family. Byron took Spanish classes in the mornings and coded remotely in the afternoons. Learning spanish was quickly becoming one of the most difficult things he had ever set out to do, even harder than learning to write software. However, once he got more confident with his new language skills, he started writing to Pamela on Facebook and used the chismol recipe as a conversation starter. But after many Google Translate-enabled conversations and some help from friends in university English class, Pamela started to get to know this strange-talking guy who loved to serve the Honduran people. Byron’s time in Copan Ruinas was at and end, so he then headed to the Children’s Home to find Pamela and show off his new Spanish skills. Of course, she was there caring for the children. Byron asked her out on a date (in Spanish). She said no. Considering that “no” is “no” in Spanish and English, it’s hard to mistranslate that one! In spite of her disinterest in a date, Pamela and Byron got to know each other better as they spent time at the Children’s Home. She saw how much her son adored Byron, and how kind and generous he was, not just with Emanuel, but with all the kids. As for Byron, he never lost hope. As they became closer, the question due was no longer, “Will you go on a date with me?” but, “Will you marry me?”. Pamela said yes. Looking back, Pamela says that a huge deciding factor for Pamela’s answer was her son, Emanuel. If he hadn’t fallen in love with Byron first, this love story would’ve ended much earlier. So, there it is. This is a story of a little boy and his desire to learn how to ride a bike, tortillas con quesillo y chismol, a woman who loved to serve the most needy of Children in her home country and the determination of an American programmer to learn Spanish and marry the love of his life, even if she lived on the other side of the Gulf of Mexico. Byron and Pamela now have two beautiful children (Emanuel and Nathan) and spend time between homes in Santa Ana and Nashville every few months. 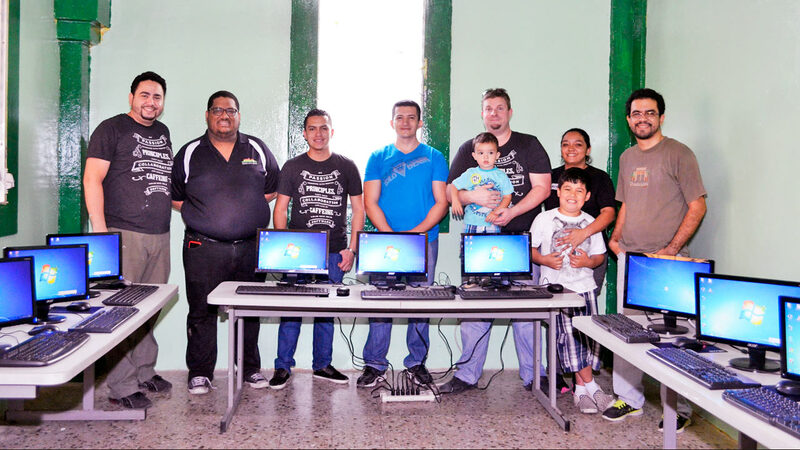 Byron still runs Acklen’s development team in Honduras as CTO. Pamela still takes care of people, but this time as Acklen’s Director of People Operations, seeing to the needs of close to 80 fine folks spread between Central America and the United States. Acklen Avenue has grown exponentially in the last few years thanks to what started with an innocent mission trip. In each person that we add to our team, we have discovered a natural competitive spirit, a thirst for learning, and often a powerful passion for serving people and doing the right thing. What started with the heart years ago between two unsuspecting hometown folks continues to drive the heartbeat of Acklen Avenue today.